It comes as quite a surprise to many people that Morocco, a Muslim country, produces wine, but wine has been made in North Africa for least 2,500 years, since the Phoenicians colonized its coast around the 12th century BC. During the era of the Roman Empire wines were exported to Rome from the region, and it’s said that in the 9th century the country’s first Arab dynasty gave a dispensation to make wine to the Berber tribes around Meknes. Curiously enough, the word ‘alcohol’ comes from the Arabic al-kohl. 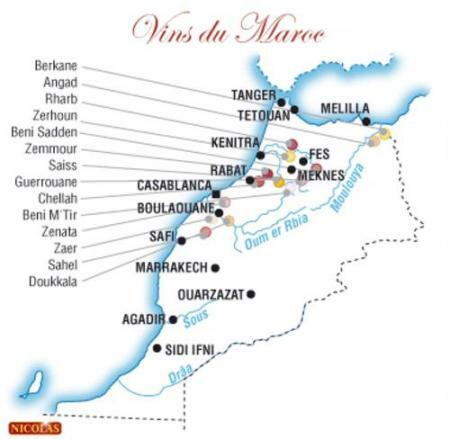 It was during the years as a French protectorate in the first half of the 20th century that wine production boomed in Morocco, most of it produced on the sunny plateau around Meknes. At its peak in the 1950s the country was producing 300 million litres of wine, powerful stuff known as ‘vins médicins’, medicine wine, used to fortify weaker French wines. When Morocco became independent in 1956 the wine industry collapsed, as the country lost most of its winemaking expertise, its consumers and its main export market. A limited production continued and developed in the 1990s. When the European Union banned blending wine from elsewhere with its production, Morocco turned to creating its own labels. Morocco is one of the biggest wine producers in the Muslim world, and even though its production may have fallen to almost a tenth of its output during its heyday of the 1950s, it still produces around 35 million bottles each year. Red wine dominates, with over 75 per cent of production; rosé wines and vin gris account for almost 20 per cent, and white wine for the remaining five per cent. 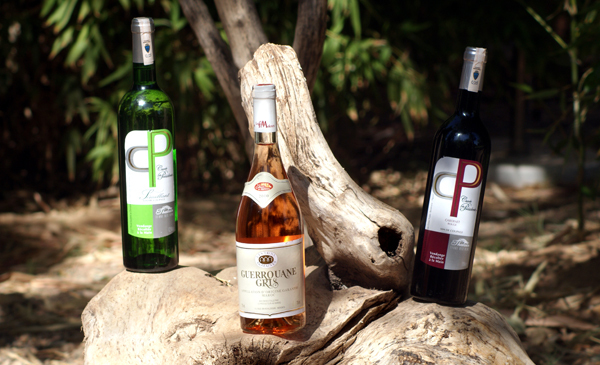 The majority of the wine produced is everyday vin de table, but with a new breed of producers experimenting with a variety of vines the quality of Moroccan wines has risen enormously, receiving international accolades and an increasing number of awards. 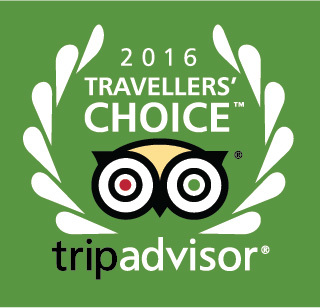 We suggest the following wines to complement the wonderful cuisine served at Villa Dinari. Rich ruby colour with a full taste but soft on the palate, and a good balance of acidity and velvety tannins. Slighty peppery nose with notes of earth and red fruit. Maturing in barrels gives an excellent finish. This is your uncomplicated quaffable Moroccan red that pleases drinkers of all persuasions. A crisp, balanced wine with a pale straw colour and light blossomy nose. It’s slight savoury taste brings thoughts of green apples and grapefruit to mind. 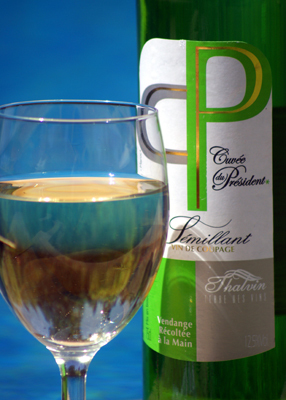 An affordable wine perfect for most occasions, including lounging by the pool. A rich ruby red colour but soft and silky on the palate, with a nose that suggests wild berry fruit and smoky spice, which is repeated in the taste. With moderate acidity and tannins, and supported by the oak barrels it is matured in, the finish is fresh and lively. The first vintage produced by Domaine de la Zouina was in 2005 and since then the wines have won a number of accolades and are improving year on year. 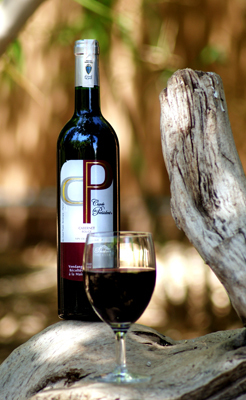 A blend of 50% Cabernet Sauvignon with Syrah, Mourvedre and Tempranillo. Dark cherry in colour, on the nose it has clean hints of blackcurrants, with gamey and vanilla undertones. A ripe, smooth palate suggests notes of leather, mocha and game, ending with soft tannins and a juicy freshness. A luscious rose-pink, with fresh, zesty mineral notes. 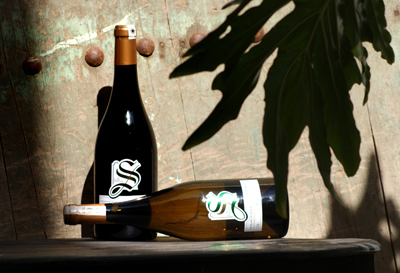 Light and delicate on the palate with savours of fennel, herbs and citrus fruit. 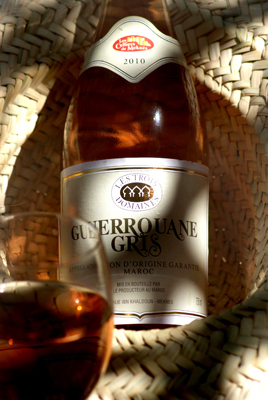 Vin gris, given this name because of its colour that falls between white and rose, is made from red grapes, in particular pinot noir, a black grape but which can also be used to make rosé or white wine. When the grapes are brought to the winery and crushed, the juice is run off and removed from contact with the skin, leaving the colour and flavour compounds from the skin behind. 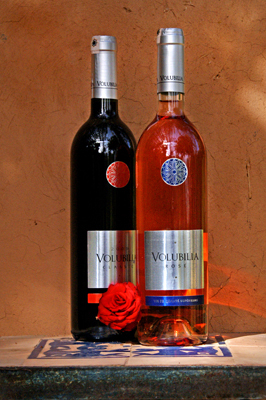 A fresh, fruity, easy to drink dry rosé wine, that pairs with salads, roasted fish and spicy dishes. The ideal wine for couscous and tagine.